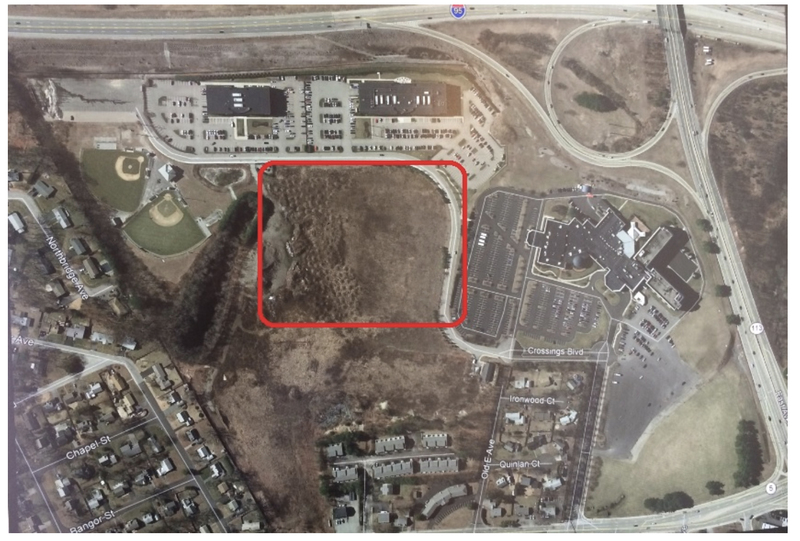 WARWICK – The Carpionato Group has the final approval of the city Planning Board to build a bio-medical hub – a 100,000-square-foot, three-story medical office and surgery center on a six-acre parcel at the Crossings Office Park across from the Crowne Plaza Providence-Warwick property along Crossings Boulevard off Greenwich Avenue. 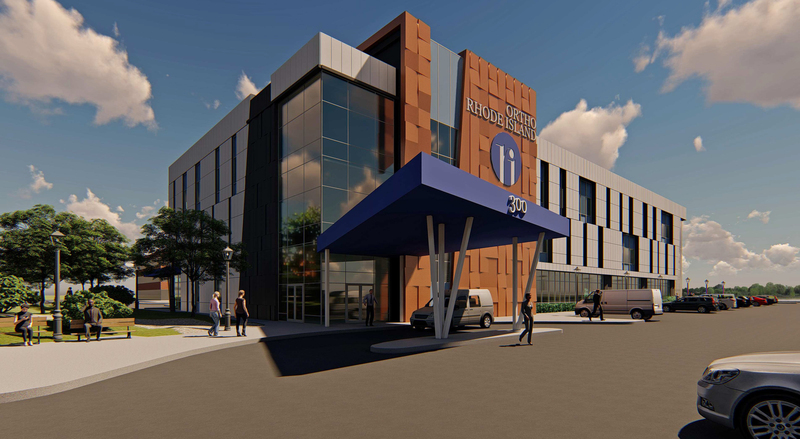 The site will host a new medical office and surgery center for Ortho Rhode Island. Construction on the development is expected to employ 125 construction workers, and the finished project will provide 275 permanent bio-medical jobs and add $25 million to the City of Warwick’s tax rolls, Gregg Perry, spokesman for Carpionato, said. The project will be executed by Calspan Development & Construction. The original plans for the development were approved by the Planning Board and the Warwick City Council in 2016, but two changes, to increase the height of the building and to allow the possibility of residential units, were just approved last week, Perry said. Kelly Coates, president of the Carpionato Group, said the development is part of what the company intends as a medical tourism park for the city. Coates said people needing surgery from across New England will be able to visit the park and also stay nearby at the Crowne Plaza, and see their doctor over the course of a few days during and after a procedure without leaving the city. Coates also pointed out the convenience of the location, situated with near-immediate access to exit 12 on Interstate 95, local train service and T.F. Green Airport. He noted that in addition to Ortho Rhode Island, Carpionato is in serious talks with another business to fill a 30,000-square-foot space in the office park, and is in less-formal talks with several others. He said the intent is for the park to be a surgical center offering a wide variety of specialties within the city. Ortho Rhode Island’s successful move to the park provides what Coates called “surety of execution,” confidence that a location can be smoothly prepared for prospective tenants. “Uncertainty kills deals,” Coates said. Ortho Rhode Island began consolidating business operations in Warwick at 200 Crossings Blvd. in May. Ashe said this process, which is ongoing, frees up space at other sites for clinical, patient-centered services. The business headquarters for the company is now in Warwick. The clinical headquarters will also be in Warwick once the new building is finished. Executive Director Mary Ellen Ashe said the practice has been shrinking its footprint since 2015, when it had 17 locations, more than half of them within three miles of each other. She said Ortho Rhode Island will maintain satellite offices in Providence, Wakefield, Westerly and Warwick. The area of the new facility is already home to the C.R. Bard’s Davol facility, a 120,000-square-foot biotechnology center. “We’re hoping this is the catalyst to drawing more of these types of businesses to this office park,” Perry said.